STARKVILLE, Miss. 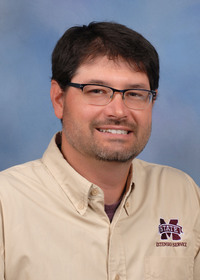 -- Two Mississippi State University Extension Service experts have contributed to a new book updating The Extension Worker’s Code. Eric Stafne, Extension fruit crops specialist, and Elizabeth Gregory North, head of the Office of Agricultural Communications, both authored sections of “We’ve Tried That Before: 500 Years of Extension Wisdom.” The book is the combined effort of more than 30 Extension professionals spanning 15 land-grant universities and representing 512 years of collective experience. For Extension Service employees, The Extension Worker’s Code has provided the foundation for professionalism and educational outreach since 1922, when Kansas State University Extension agent T.J. Talbert wrote it. Over the decades since that time, Extension Service units across the country have adapted to meet the changing needs of their clients. So, it is only fitting for the code to be updated as well. Paul Hill of Utah State University and Jamie Seger of The Ohio State University, in their roles as leaders of the eXtension Educational Technology Learning Network, led the national effort to bring the code into the 21st century. Stafne wrote a section on collaboration, emphasizing how being generous with time, knowledge and resources benefits everyone. North’s section offers advice about working with the news media. The book is available online at http://bit.ly/2J5Nuxv.